For people who wouldn’t bother keeping rules and codes of ethics, destroying the bridge after crossing the river wasn't a mental barrier. It was just normal. Especially, when the benefit was big enough, everything would become more reasonable. Soul Washing Divine Water and the Star Original Essence were the rarest treasures in this world. Even the True G.o.d Realm warriors might not have a chance to see them, not to mention having them. When such a chance presented in front of them, Chu Bai Qing and Ning Du Quan, the warriors of the Heaven Temple, wouldn’t have much hesitation before killing their pathfinders. Poor Li Zheng Rong and Ye Chang Feng. As the key to open the seal, the other two hadn’t killed them yet, because they needed to deal with the Blood-maned Giant Ape first. Shi Yan now understood why Li Zheng Rong had to be cautious watching Ning Du Quan and the old woman behind his back while he was dashing toward him. Turned out he was afraid that Ning Du Quan and the old woman would take risks and kill them first. "Kill Chu Bai Qing first!" Ye Chang Feng gritted his teeth. Resentment was as deep as the ocean showing on his face. Shi Yan could understand his feeling. However, he didn’t answer immediately, just keeping silent. "Shi Yan, will you help me or not?" As Ye Chang Feng saw him not replying, his face grimaced, his eyes bright and sharp. Li Zheng Rong didn’t talk much while his face darkened. He had told Shi Yan the magical functions of the Soul Washing Divine Water and the Star Original Essence to trigger him to help him solve this problem. When they were still in the Dead Soul Mountain Range, Li Zheng Rong had treated Shi Yan not too badly. The old man thought that he had to get along well with Shi Yan. Added with the relationship between Shi Yan and Ye Chang Feng, Li Zheng Rong thought that Shi Yan would give them a hand. Even if not because of him, with the attractive weight of the Star Original Essence, Shi Yan would never resist. However, Shi Yan kept silent, which made him feel anxious as he couldn’t guess what Shi Yan was thinking. At the bottom of the lake, Ning Du Quan and the old woman had their eyes glistered uncertainly. They seemed to be preparing themselves discreetly. "I have a deep resentment with Ning Du Quan," Shi Yan's complexion was faint as he was talking neither slow nor fast. "Of course, I'm going to help you. I just need to think about which method to use to kill all of them. Once we take action, we will leave no room for anyone to escape. Or else, the aftermath wouldn't be something we can imagine." Chu Bai Qing and Ning Du Quan were the disciples of the Heaven Temple. Although he didn't know the old woman’s ident.i.ty, he a.s.sumed she was from the Heaven Temple too. If all the three of them were killed, it was easy to arrange. However, if one of them escaped, it would be hard to tell whether the Heaven Temple would get out of the Secret Domain and hunt them or not. They needed to consider this problem carefully. Shi Yan wasn’t alone anymore. The Yang family, the Shi family, the Cao family, and the Yin Yang Fairyland were dependent on him, so were the Dark Devil Clan and the Winged Clan. He couldn’t just ignore everything and run way alone. Giving the Heaven Temple a reason to let many warriors get out of the Secret Domain and attack his side, Shi Yan had to ask himself whether he could resist such a force or not? If he stayed with the Dark Devil Clan and the Winged Clan and killed Chu Bai Qing’s group, Yun Hao of the Radiant G.o.d Cult would have had no way to help him out. With their current force, they couldn’t resist the Heaven Temple face to face. "Shi Yan’s right," Li Zheng Rong sighed quietly, his face solemn. "If we want to kill them, we can’t make any mistake. If we want to do it, leave no room for maneuver!" "Does anybody else know that you guys are coming here?" Shi Yan was a bit hesitant, asking immediately. "No," Li Zheng Rong shook his head, "Chu Bai Qing wanted to keep this place for himself. Of course, he wouldn't tell anybody else. I'm sure no one else knows about this." "Good!" Shi Yan finally showed his b.l.o.o.d.y fangs. He talked to Fiery Dragon resolutely. "You have to help me with this. At first, you just need to get rid of the compet.i.tion with the Blood-maned Giant Ape. You should join us and help us kill them. After we can kill all of them, we will discuss the other business, okay? If you bear any loss, I’ll compensate." "No problem!" Fiery Dragon grinned, rubbing his hands. "Although Blood-maned and I don’t get along well, those b.a.s.t.a.r.ds killed my fellows. They had taken the bones and skinned them. Of course, I won’t just stand and stare. The Monster Clan has rules. Even if we hate each other, facing this operation, we will unite as one." "Then it’s easy." Shi Yan smiled, as cold as a sharp blade. A streak of blood rose in his eyes. "We will solve Ning Du Quan and that old woman first. Fiery Dragon, you are in charge of that True G.o.d Realm human expert. Don’t let him escape shortly." "Chu Bai Qing has the True G.o.d Realm cultivation base, so he should have his G.o.d Soul now. I think when he sees the situation getting worse, he will use the G.o.d Soul to run away." Li Zheng Rong was cheered up, but then he remembered this feature. "He’d better not to let his G.o.d Soul leave the body. Or else… I’ll show him how stupid he is to let his G.o.d Soul escape in front of me!" Shi Yan grinned evilly and fiendishly. Li Zheng Rong’s eyes brightened. He asked happily, "You have it?" "Yes," Shi Yan nodded. "Don't worry, everybody. If he let his G.o.d Soul out, it’s gonna be the decision he will regret the most for the rest of his sorry life." Ye Chang Feng was cheered up, smiling coldly. Yang Tian Emperor and Di Shan were eager to try. They started to acc.u.mulate their power quietly, preparing to attack at any minute. 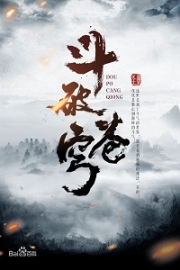 Previously, Chu Bai Qing’s group always wanted to kill the Yang family, the Dark Devil Clan, and the Winged Clan. Members of the Heaven Temple took a big part in the seven ancient factions’ hotshots who had sneaked out of the Secret Domain to slaughter the Dark Devil Clan and the Winged Clan. "Fiery Dragon, you attack them first. As long as Chu Bai Qing is restrained, we will attack the others. After we kill the other two, we will support you immediately. You must hold Chu Bai Qing down!" "Okay!" Fiery Dragon didn't change his face, giving an order to Fiery Flame and Silver-horned. "When I launch my attack, you guys shouldn’t stay idle. Help them to kill these two humans." Fiery Flame and Silver-horned nodded heavily. "They’ve killed our fellows savagely. We will take their blood to repay our fellows’ blood!" "You can pretend to attack Blood-maned first. Then, you seize the chance and attack Chu Bai Qing. If you can deceive Blood-maned, too, it’s the best." Shi Yan suddenly suggested a cunning tactic. Fiery Dragon was surprised. He glared at Shi Yan oddly. "You humans are so cunning, indeed." Then, he roared, turning into a scorching shadow and lunging towards Blood-maned and Chu Bai Qing. Although Blood-maned and Chu Bai Qing were fighting with each other, they quietly retreated a part of their power to take precaution. They were waiting for the flaming dragon. Blood-maned and Chu Bai Qing had recognized Fiery Dragon before. While they were battling, they had observed Fiery Dragon discreetly. But they didn't expect Fiery Dragon to jump into their battle. These two were both frightened. Blood-maned and Fiery Dragon were rivals, so he was afraid that Fiery Dragon would attack him. Chu Bai Qing was more anxious. Fiery Dragon was a member of the Monster Clan, so of course, he would support his monster fellow. As Fiery Dragon hadn’t made any moves, he had relaxed a little bit. However, he still kept an eye on the situation. Blood-man’s and Chu Bai Qing’s powers were almost the same. No matter what side Fiery Dragon chose to join, the other side would fall into a bad situation, which would overturn the entire balance. They were all afraid of his involvement, so they had to save part of their power just in case. Blood-maned released a terrifying roar. Gold light shot out from his eyes as he thundered indignantly. "Fiery Dragon, you b.a.s.t.a.r.d! You dare attack me! Although we’re rivals, if you join humans, the entire Monster Clan will disdain you!" After Fiery Dragon had let out a dragon roar, a bunch of red energy shot out from the sole horn on his head, locking Blood-maned. That’s why the ape got enraged and scolded him. Chu Bai Qing was tense. Hearing Blood-maned cursing, he was overjoyed. He laughed and then released the pressure from the square stone, striking on Blood-maned. While he and Blood-maned were engaging in the battle, he was always in a disadvantaged situation. He wasn’t so sure about this fight. However, as he discovered the Fiery Dragon was the archenemy of the Blood-maned Giant Ape, he had an extreme joy that couldn’t be explained. Chu Bai Qing was excited. As he was envisioning the best picture, he felt even his pores were refreshed. He shouted and attempted to join Fiery Dragon to kill Blood-maned. Fiery Dragon shouted indignantly. The sole horn on his head rippled magical energy waves. While he was in his beast form, each scale on his body was rattling like leaves on an ancient tree. Waves of raging, blazing energy bloomed out from the dragon’s body. Blood-maned screeched and thundered. He panted and avoided Chu Bai Qing temporarily, shifting his target to Fiery Dragon. He had recognized the Fiery Dragon today wasn’t like the dragon in the past. The energy rippling from his body was robust and intimidating. 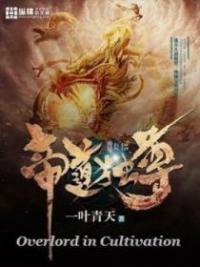 The dragon’s body that Shi Yan had refined was pushing Blood-maned, as if he were facing a tremendous enemy. He had to counter the giant dragon with full caution. Although the Monster Clan had a scale of levels, the beast's competence didn't depend on the level. However, the way the Monster Clan fought wasn’t similar to human. They didn’t rely solely on their energy, rather the robust body. During the fighting, the beast’s grand body could compensate its shortage of energy. Apparently, Blood-maned had discovered the strange features of Fiery Dragon. He recognized that Fiery Dragon, the dragon that used to be one level lower than him, was now not weaker than him, even a bit. Moreover, Fiery Dragon was a member of the Monster Clan, but he had broken the rules and joined the human side to attack him. This burned the raging fire in his heart, soaring to the sky. So, at first, he needed to press down Fiery Dragon’s imposing pressure. When Fiery Dragon was pa.s.sing Chu Bai Qing, his long tail, covered in thick scales, suddenly swept through, releasing many scarlet flames as though hundreds of blacksmiths were pounding their iron hammers on the stone table. His long tail directly hit the invisible defensive cage of Chu Bai Qing. Chu Bai Qing was so surprised he couldn’t react on time. The power of his body had been acc.u.mulated on the square stone, so the power that remained in the cage was limited. Instantly, his invisible cage broke into countless light dots, scattering everywhere. Chu Bai Qing was blown a thousand meters away underwater. Blood covered his body. He had never thought that Fiery Dragon would use this method to strike him. In people’s thoughts, although the beasts had intellect, they weren’t so cunning and wicked… Thus, the big price he had to pay for his wrong calculation was his badly wounded body! You're Read God Of Slaughter Chapter 627 online at NovelOnlineFull.com. You can use the follow function to bookmark your favorite novel ( Only for registered users ). If you find any errors ( can't read,broken links, can't load photos, etc.. ), Please let us know so we can fix it as soon as possible. And when you start a conversation or debate about a certain topic with other people, please do not offend them just because you don't like their opinions. You're reading God Of Slaughter. This manga has been translated by Updating. Author(s): Ni Cang Tian,逆蒼天. Already has 3781 views. Current Time is 23-Apr-2019 10:27:53 AM.